Datasolve is a prominent supplier of Videotex services. 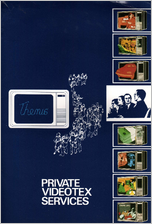 It has developed a sophisticated Videotex system called THEMIS which runs on Honeywell computers from the low priced range of mini-computers to the powerful medium and large mainframe computers. To the personal computer user, Datasolve offers the THEMIS PC range of software packages which provide videotex capabilities for a number of IBM compatible personal computers. 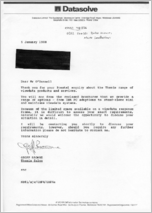 According to Companies house records, Datasolve Limited was wound up in August 1999. I do not currently have any further information as to what happened to their product range.